Much to Anna's dismay, I announced to her the other day that not only would I like to grow a couple of tomato plants this year (which neither she nor I have ever done before), but I would also like to start composting. I am certain that images of me dancing around trees and hosting group showings of Fern Gully must have flitted through her head, if I correctly read the expression on her face. 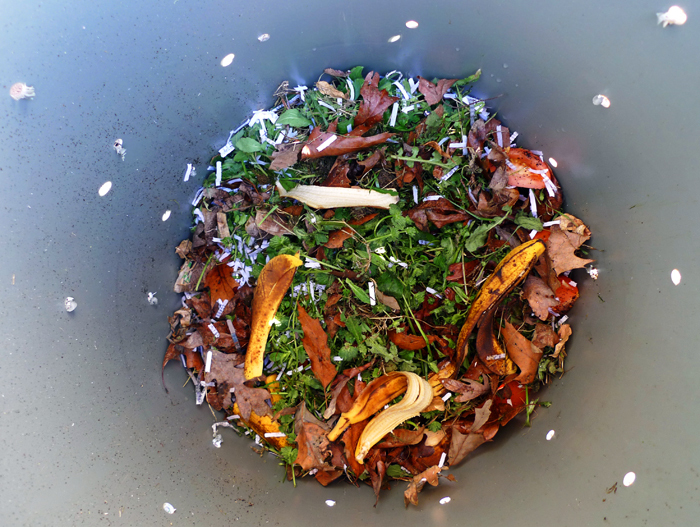 There are any number of reasons to compost. PlanetGreen offers seven reasons, while the Rodale Institute came up with an even dozen. But none of those are mine. I am not really bothered by throwing food parts away. And I would like nice, naturally healthy tomato plants. But mostly, I'm just curious about the process. Biology and the life cycles have always intrigued me to one degree or another. But mostly, to be honest, I just thought (and correctly thus far), that it'd be kind of fun. Now I hesitate to inquire what that says about my idea of fun. 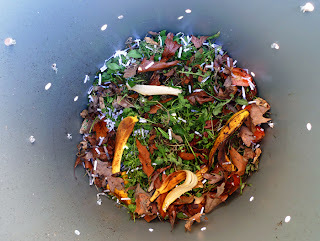 Nevertheless, I set about making a container for my compost from an extra plastic trashcan that we had in the garage. I took my drill and plugged it full of 1/2" hole on the sides and bottom. Then I made a nice niche for it in the back yard, and began to fill it with some yummy, natural, biodegradable waste. Now, I'm a person that likes immediate results. 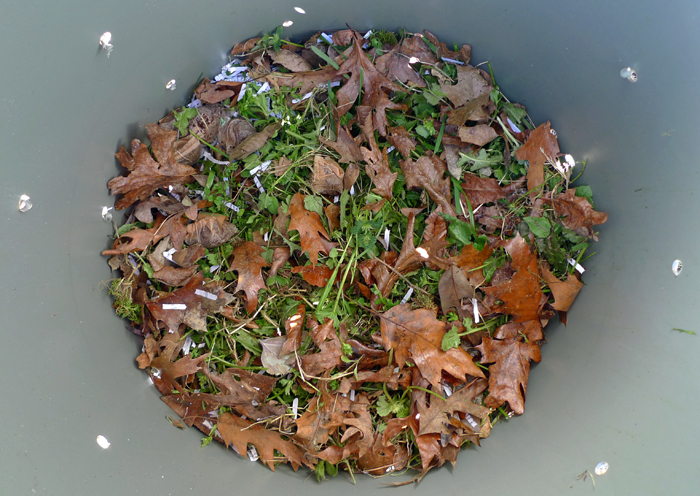 So on Day 3, when I went out to the compost bin this morning, I expected something. Not a great deal of degradation, but at least a little decay. Something to say, "We're well on our way to becoming something you can amend your soil with." Yet the contents had nothing to say. So I watered it, because it was looking a little dry and have gone about my day, secretly willing it to decay more quickly. Be sure to stay tuned for further developments. As I try to keep my greens and browns in proper proportions, things should begin to deteriorate quickly and odorlessly (unless those anaerobic microbes build up, but then there's a solution for that too). Sites that I found helpful, since I was essentially starting at square one: Composting 101; Vegweb.com; and EarthEasy.